The above information was last updated on January 17, 2019. Provenance information: A2Acollection NL-RtSA_999-01.1857E_54_A2A.xml van SRT, originele record identifier is 1075227207, bij archief nu bekend onder 0E46D21E-42E9-4B46-A203-8E66CC92F706. A visitor has reported an error in the indexed data of this record. Advice: check the information and the scan of this record. 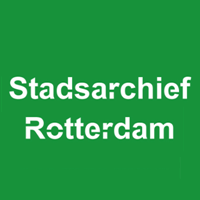 On both the detail page on the website of the archive as well on Open Archives, the report will be sent to Stadsarchief Rotterdam.